Russian Chelyabinsk Meteor largest since 1908 Tunguska event | Watts Up With That? The meteor that crashed to earth in Russia was about 55 feet in diameter, weighed around 10,000 tons and was made from a stony material, scientists said, making it the largest such object to hit the Earth in more than a century. Large pieces of the meteor have yet to be found. However, a team from the Urals Federal University, which is based in Yekaterinburg, collected 53 fragments, the largest of which was 7 millimeters, according to Viktor Grokhovsky, a scientist at the university. Data from a global network of sensors indicated that the disintegration of the Russia fireball unleashed nearly 500 kilotons of energy, more than 30 times the energy of the Hiroshima atomic bomb. It is the largest reported meteor since the one that hit Tunguska, Siberia, in 1908, according to the U.S. National Aeronautics and Space Administration. The agency’s new gauge of the meteor’s size was a marked increase from its initial estimate. That’s what I love about WUWT full of real information. Science at it’s best with NO adjustments. … so the large Dolphin pod run is from the meteor? Or is something else up? Maybe another impact at sea spooked them. That just might have been a leading trojan to the 2012 DA14, in the gravitational saddle on the lead size of the orbit, smaller so affected more by the tug of the Earth just enough to skim us into the atmosphere. Any confirmation there? Whew, close call, super lucky that one didn’t reach the surface! Russia to create meteor (should be meteorite) defence shield. Uninhabited oceans cover most of the earth’s surface. I estimate these events, large meteor strikes, are more frequent than being estimated. We generally know nothing about them, but we should assume they are at least three times more frequent than observed. Just like a Seinfeld episode, sometimes things just mesh together. Feb 12: We have it from the highest office in the land that we have to believe in Climate Change because otherwise, we would be stuck believing in “freak coincidences”. Conclusion: Deborah Feyerick must have been right! Since we can’t believe in “freak coincidences”, something that seems to be improbable must have a CAUSE. Can you think of anything being THE CAUSE other than global warming? Thos alarmists wanting to blame CAGW can scream all they want to, it just makes them look stupid. Their panicking is getting tiring, anyway. I think most people looking at green are beginning to see red (pun intended). No it came from the opposite direction. Teach me to check before commenting. The largest 2 chunks of space debris in the last 100 years hits Russia. What are the chances? Peter Brown….years ago, when I lived in Ft. McMurray, some of us GUYS were into Astronomy and he was in Grade 11/12 at the time, and we would pick him up and take him out to where we setup our scopes and he used to just sit in his lawn chair and watch/grade etc the meteors!! Look like he made a career out of it!! Good for him! From the The American Meteor Society…. where N(>D) is the expected number of objects larger than a diameter of D meters to hit Earth in a year. This is based on observations of bright meteors seen from the ground and space, combined with surveys of near Earth asteroids. Above 300 meters in diameter, the predicted rate is somewhat higher, with a two-kilometer asteroid (one million-megaton TNT equivalent) every couple of million years — about 10 times as often as the power-law extrapolation would predict. I can’t say that you are wrong, but there are an awful lot of installations scattered around the world by certain missile-paranoid nations looking for large, fast moving objects. One would think they would pick up 3 times as many “Gee-golly-whiz-whu-waz-DAT! Awwww… it just fell in the ocean so we’ll never know”s as are reported. A fair question is; are you correct in your assumption but there is nothing reported (protects how much the paranoid nations are picking up) or are all the “Hey guys. you missed another one too small for your ‘scopes” getting passed on to the appropriate observers? Perhaps someone knows about non-military threats getting reported to academics or can say (without saying, of course) that more objects are hitting than are generally reported. Kudos to WUWT for the great coverage. It’s gratifying to see NASA focused on real and relevant science versus Islamic outreach and the global warming gravy train. About “meteor defense shields,” we do not have, and not in the near term, the capability of projecting sufficient momentum or accurately enough to defend against a meteorite, and certainly not enough to overcome the precautionary principle. About forecasting, the nonexistent probability of a strike by 2012 AD-14 was well established shortly after its discovery. If, hypothetically, a STRIKE was probable, would the information have been released earlier or later. Consider the dilemma of hurricane forecasters, is the panic worse before or after the event and its warnings. I evacuated Charleston, SC, for H. Hugo but not for H. David. H. Hugo followed me to Charlotte, NC, where my shelter was damaged more than my Charleston home. My Beneteau FIRST 235 at Charleston’s Brittlebank may have been the most seaward undamaged boat afloat. Although coming from different directions, could the two recent asteroid pieces be part of a slightly more asteroid-populated orbit/domain around the sun? Large pieces of the meteor have yet to be found. Except on the Russian black market, if you know who to ask. Meteor fast is an order of magnitude faster than missile fast. Low Earth Orbit speed is about 7 Km/s. I believe that the Chelyabinsk meteor speeds are reported in the 30,000 Km/s range. It’s almost 1800 m³ assuming a 15 metre diameter sphere (the earlier estimate). With 17 metres diameter it’s over 2500 m³ in volume. The density of rock varies widely (pumice floats!) but if it’s usually between 2500 kg/m³ and 3500 kg/m³ which’d put the meteorite at between 6250 and 8750 tonnes (megagrams); a little shy of the estimate. OTOH: If the meteorite were made of e.g. solid iron ore with a density of between 4.5 and 5.3 tonnes/m³, it’d have been over the estimate of 10,000 tons. I realize that unusual things happen all the time and coincidences are perfectly natural and the human mind groups some together as meaningful when they aren’t. Even so it still seems like a creepy few days. So we now accept the analysis of the NASA scientists do we. How ironic. The biggest object…In more than a century, really? How could they possibly ‘know’ that? …and I am reminded of that famous New Yorker cartoon which shows America from an NY perspective, i.e. the rest of the USA receding rapidly across the curvature of the planet with spindly California on the edge of a distant Pacific. So is this an example of the distorted perspective that fouls the Climate debate…as in ‘we’ve never seen this before so it has never happened before? Or is it an example of faith in ‘science’, as in a scientists know everything and a scientist said this so we will just accept it? In either case the claim made is palpable nonsense. The Chelyabinsk event was witnessed over a relatively small area and dozens of similar events could easily have happened over the vast empty reaches of the planet in the last hundred years. as they say in England ‘do me a favour’! It’s not too surprising that the last two large meteorites [that we know about] hit Russia. it’s a very big country. We will accept the analysis of anyone as long as it is logical, repeatable, and following correct scientific principles. It is data, not models, that are important. At least we will have our carbon credits to cling to and burn for warmth in the overcast from the next big meteor strike, unless it hits in the ocean and sends massive tidal waves in addition to the cold overcast. nothing ironic about accepting NASA SCIENTISTS analysis, it’s the NASA environmentalists that are out of whack. I was sure it was due to global warming until I found out that a BIGGER one had crashed 100 years ago in RUSSIA. Dang. Maybe next year it will be 20,000 tonnes. Oh dear. No doubt it’s proof for the alarmists that global warming not only causes satellites to fall from the sky, but meteors too! More seriously, years ago two British astronomers, Victor Clube and Bill Napier, wrote a book (‘The Cosmic Serpent’) showing the scaling of expected meteorite impacts over time (ie: if this is a ‘one in a century’ event, consider the ‘once a millenium’ version!). They were convinced that impacts had significantly affected human history, but while they steered well clear of Velikovski nonsense, their ideas probably meant most scientists steered clear of their work. It’s worth looking out for if it’s ever reprinted, or if you can hold of a copy. Did Tunguska have a crater or remnants ? What is the definition of a meteor, meteoroid and meteorite ? Man putting all that extra CO2 into the atmosphere has increased the gravitational field of the earth. The science is settled. I bet 97% of Huffington Post readers would actually believe that. Actually, that might be per hour, not per second, so reduce the speed you state by a factor of 3,600. Otherwise, you’re saying the meteor was going at ~1/10th the speed of light. Light travels at 186,000 miles per second so the speed you quoted–30,000 Km/s or 18,645 miles/s, is about 1/10th the speed of light. The meteor entered the atmosphere at about 40,000 mph (18 kilometers per second). is close enough to quote. That’s equivalent to 11.2 miles per second, which is moving right along. Interesting that it was so small that it wasn’t noticed at all until it hit. But ALSO interesting that it was such a glancing graze that it broke up way up in the atmosphere with relatively little effect on the surface. Imagine if it had been more of a “straight on” hit. Any meteorologists (hmm… I guess we need a different term for them, eh?) out there speculating on what the effect would have been then? What *would* the effect have been if it was a fairly vertical hit on downtown Manhattan? Finally, the two wise professors from Yale concluded the stones must have fallen from the sky. Eventually the story found its way to the White House in Washington, D.C. President Thomas Jefferson was a scientist as well as statesman. When he heard this peculiar story he declared it could not be true, but his advisors insisted that the stones were observed falling from the sky and that two Yale professors investigating the incident vouched for its truth. Whether Jefferson’s quote is truth or myth, his belief real or an opportunity for a witty Virginian to take a shot at a two Yankees, is not known and not really that important. What is important is that the story reflects the mindset of a scientific community struggling to reconcile observation with entrenched belief. Yep, those damned observations, always upsetting the consensus. Plus ca change. Russia is big and the locations are not close in human scale but if you were trying to hit the Earth with meteorites at the same spot on the globe and you got these results you would deserve a pat on the back (except for trying to hit Earth with meteorites which is a pretty jerky thing to do). Hey, not as jerky as a bunch o’ drunks trying to hit a cardboard circle by throwing sharp little darty things through the air in a crowded pub! EBH: no crater necessarily if it’s an air burst — which both this and the 1908 event seem to have been. So there would be a huge crater somewhere, right? When these things explode with hundreds of kilotons of energy, what provides the explosive energy? The estimated size was 17 meters diameter. It was likely not a perfect sphere, so round down to 8 meter radius. That gives a volume of 2000 cubic meters. Average chondrite density of 3.5 tonnes per cubic meter gives about 7000 tonnes. They may have other data showing the density on the high side, or guessing from the calculated energy release of the shockwave on windows, along with videos of the track, etc. The NASA estimate says the size was 7000 to 10000 tonnes. A 1 kilogram object at 18000 meters per second has about 162 Megajoules of KE. So, 7 million kilograms has 1134 million megajoules. Using this converter gives 271 kilotons equivalent. The Hiroshima blast was about 12 kilotons, so the Chelyabinsk energy was about 22 Hiroshimas. But, the meteor energy was dispersed over 30 seconds before it shattered, so its hard to guess how much energy was in the final shock wave, compared to the Hiroshima shock wave. The Hiroshima blast was IIRC around 3000 feet above the city. The Chelyabinsk shockwave originated at a much higher altitude. What *would* the effect have been if it was a fairly vertical hit on downtown Manhattan? It’s not the largest in 100 years. The July 1972 object was much larger. It just did not get low enough in the atmosphere to explode. If it had, Albuquerque would no longer exist. The “Human Global Warming” will be VERY pissed at this news. For decades the Human Global Warming “Evangelical Christians” have been had at work to put ‘Man’ back at the center of the Universe. They, as their spokesperson de jour Little Jimmy E. Hansen, puts (punts it) while collecting his ‘royal’ US Government and NY State Pay while he abandons his job and give us a show at the Gates of the White House, perhaps ‘in his mind’ he was at the ‘Great Gates Of Kiev’. Far from there and that. He should give thanks for his … ‘Station’ … but no … not the … little jimmy e. hansen … THAT … he will never do … he will say such … beneath his … dignity … nor acknowledge … not even with his ding breath. artday, e=mv^2, so for the high velocity to be reduced to zero, that prodigious kinetic energy is converted to heat. Why is the Russian meteor not related to the Da14 asteroid? If it was a fragment from Da14 it could still be puled in at a north east to south west direction, we should be looking at the orbits of these asteroids to see if there are any debris following or preceding them. I just read that the bigger asteroid that passed by Earth saw its orbit modified by the encounter and will strike Earth in 2080 unless its orbit is further modified. But the truth is we don’t really know if this was the largest one, I don’t think. Largest one to fall over a populated area where people could notice it, maybe. But something like this could have fallen in parts of Antarctica, out in the ocean, or even over parts of Siberia that are not populated. “…..his advisors insisted that the stones were observed falling from the sky and that two Yale professors investigating the incident vouched for its truth. Yeah, good story, but at least the observations eventually triumphed, which is the way science is supposed to work. I wish I could go into deep sleep and come back in 100 years to see how the whole climate scare pans out. If the temperature doesnt rise much, then the alarmists will go the way of Jefferson above. Thanks Paul, scratch that thought. 😉 I briefly searching for something to say yes or no and couldn’t seem to find the details. Well, that was truly some coincidence then. I agree with Snake Oil Baron. I wonder whether Russia is being used as a target for some huge version of one of those circus acts in which the blindfolded knife thrower tries to hit the rotating wheel. We can hear them. The low frequency sound, easily, travels around the world. No need for telescopes or radars. The sound reaches multiple stations, and just as siesmographs we get direction, energy, duration etc. In the end we don’t have to trust the scientist, a good helping of math is “all” plus data is all that is needed. 300KT to 500KT. Look up what JPL said about. 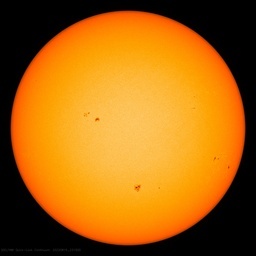 spaceweather.com has a little info about it. Most of it vaporized, rest scattered, but there is a photo of a 45′ hole in a lake, so that is one big chunk. Friction and the thick atmosphere at 12-15 miles combines to superheat it. The pressure builds up and at some point shatters the rock, at that moments all the individual pieces vaporize even faster…. BIG Explosion. Some pieces remain intact, surviving the friction and pressure and slow down to make it to the ground. I had a meteorite pass me while driving south on I-35 one night. It looked like a ball of fire with a tail of sparks traveling level to the ground and came past me like I was a spectator at the Indy 500, before it went out in a blaze of glory. I didn’t run off the road, or anything. You’re being too literal, mjk, thinking NASA is some monolith. It’s like wikipedia, some things you can generally trust, and other things, you’d be crazy to trust. For example, the NASA scientists who calculate meteorite orbits have no axe to grind about orbits, no political stance about future meteorite increases, they don’t go out and get arrested protesting for more telescopes. So yes, I’d trust them to calculate the trajectory and the weight. You’ve just got to know the players. Hmm… I am distressed. I can NOT remember the name of the 1950s sci-fi film where some earth scientists were taken to a planet “millions of miles away” which was under attack by enemies who basically guided meteorites down through the atmosphere to strike at their majestic alien cities. I had *thought* it was “20 million miles to earth” but IMDB shows that as being some sort of giant lizard movie that I know I’ve never even seen. 97% of Huffington Post readers WILL actually believe that. Especially since we are not dealing with E = mc^2, energy should be expressed in joules and not mass. A question: How much larger will the UAH anomaly be for February be due to this input? It went up after homogenisation of the data. What sets my questions buzzing is when people make statements without complete evidence to back them. Have we been able to track all impacts from space for this period? Or better yet for several hundred years so we can estimate frequency of debris falling down on us? Not to mention that part of the frequency of space debris depends on supposedly empty space that our solar system passes through as we rotate around the galaxy. Just because earth has been traveling through calm empty space doesn’t mean it will always be so. Oh yeah! There’s a fully fledged technology that’s been in active use for a long series of time tracking space debris explosions… Not! Nor has this technology been exposed to repeated verifications that match sensor readings to accurate identification regarding all explosions. Given the amount of thunder and sonic booms that the system has to white noise out, only significantly larger explosions are followed up on. Which leaves the reality of; these things smack into earth as it whizzes through space and only heaven knows how often. Think of these impacts as equivalent to bugs hitting your windshield. Sure you can work out a frequency rate for how often the big bugs smack; but that ratio is only post tense valid for when, where, space and time already past. All ratios are invalid upon entering present future tense and fully dependent on space objects (or bugs) in ones flight path. It was a glorious lazy hot summer day and I was riding my motorcycle rather joyfully down some New England country road. My shirt open to the wind (no leathers), and I was loving how cool it felt in the heat, (no A/C at home either) . Cresting a small rise in the road between cornfields on one side and forest on the other I had just time to glimpse a large black and yellow object sail out of sight below my nose and into my shirt, smack into my chest and slide around to the side. Yes, I was frantic to find the bumblebee as it turned out to be, control the bike, slow up and stay alive but unstung. Common sense and straight thinking that a large slow flying exoskeleton creature with a soft interior would smash on me similar to colliding with a windshield. But straight thinking is a little difficult to achieve when we have large yellow and black European wasps in the same area and they’re much tougher and capable of stinging repeatedly. Stinging insect identification at 55 miles per hour (88 kmh) is not my strong point. There is a simulator online courtesy the Earth Impacts Program. Running known numbers thru it from the Russian bolide give an inbound velocity on the order of 35 km/sec (or a little under) for a stony body. I am wondering about a cometary origin for this, as it was moving very fast. Will keep looking for a possible cometary family to connect it to. These things -are- more common than that. Someone mentioned the 1972 graze. I’ve seen the picture of it over the Tetons. And there have been reports of mushroom clouds over the ocean seen by airline pilots – but no radiation – assumed then to be events similar to this one. For what it is worth , I remember hearing a story in similiar vein , the gist of which is that the french national science academy had organised a conference whose theme was approximately ” No way stones can fall from heavens” .i.e the general consensus adhered to by the majority of the scholars at that time. While it was going on a meteorite event over Paris happened during the same time, and fist sized pebble falling from the heaven punctured the roof of an auditorium ( happiliy no one was hurt ) where an esteemed professor was just putting the finishing lines of his conclusive proof that such occurence were impossible. I of course do not know weather this one is a myth or has some strands of reality infused in it, but it stuck somwhere in the back of my mind, as an example of a funny example of how counterargument to the dominating consensus might happen to be driven home. Speaking as to just what happened, does anyone know a jump to where the state vectors or orbit parameters might have already been estimated and calculated for the meteorite on the web? I understand 2012 DA14’s is on the Horizon. That area is home to the Mayak facility that bred plutonium for the Soviet Union. There were so many accidents there that it has more radioactive contamination and more health consequences than Chernobyl. It is the place Gary Powers was attempting to surveil before his U2 was shot from the sky. The plant is still active. The most recent known accident was in 2008. 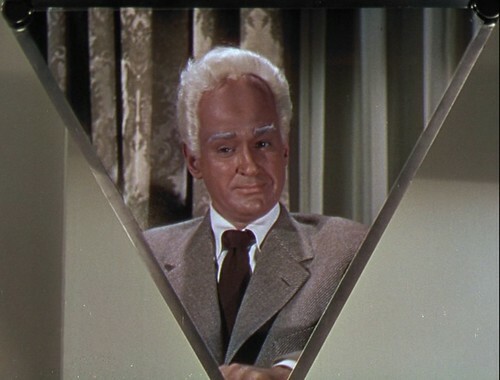 I looked it up on my interocitor; the movie was “This Island Earth”. michaeljmcfadden, check here maybe: en.wikipedia.org/wiki/List_of_science-fiction_films_of_the_1950s, might see a familiar title? Regarding us missing meteors, there was a window between the Tunguska blast and the point when the nations of the world began listening for nuclear bomb detonations where it could have been missed, but it’s not a large window. Glad someone else corrected 30,000 km/s, that’s WAY beyond solar escape velocity, something like that would fall under the heading of “weapon of mass destruction” and be pretty difficult to explain as anything but a deliberately accelerated and launched weapon. the actual speed being 17~ km/s is much more sensible. Also: meteor means it is in the atmosphere, meteorite means you found a piece of it on the ground. Shh, those installations are supposed to be secrets. If they were detecting meteors I think you are assuming a bit much in suggesting that they would tell anyone about it. If the “bad guys” knew they were picking up meteors they might think to launch an attack during one of the major annual meteor showers. The largest 2 known. 20 could have come down in the Pacific, or Antarctica, or the North Pole and no one would have known. Ahh! FOUND IT! 🙂 “This Island Earth” — an excellent 1950s genre sci-fi movie! No, there may or may not be a huge crater. Prelimanry reports say this was a stony meteor. There are three general types of meteors in space: stony, metallic (usually iron-nickel), andd mixed stony and iron-nickel/metallic. The stony types tend to explode into a myriad of fragments while still in the upper reaches of the atmosphere. When the meteors plunge into the Earth’s atmosphere, they are usually moving at tremendously high speeds. At such high speeds the impact with the atmosphere 70 to 20 miles above the Earth is like running into a steel armor wall. The impact and friction vaporizes the material at the foreside of the object as the kinetic energy at the rearside of the object is trying to force its way through the object to its frontside. This sudden shockwave through the meteorite can compress, heat, and stress the near zero cold material inside to the point where it must fracture and explode into a showeer of pieces. Stony meteors/meteorites have the least internal strength and are most prone to such fracturing., while some iron-nickel meteors/meteorites can survive in large enough chunks to punch a crater into the ground. The stony object is like a high explosive shell hitting the armor of a tank and fragmenting at the surface, whereas an armor piercing shell with a hard metallic sabot melts and pierces through the tank armor to strike the interior. Take an object with a mass of about 10,000 tons, accelerate it to a high velocity by imparting large amounts of kinetic energy, decelerate the object to less than 10 percent of its high velocity in only a number of seconds in time, watch the forend decelerate faster than the rearend, observie the internal compression disrupt the internal molecular bonds of the object and resultant heating, add the heat from the friction with the atmosphere and vaporization of the foreend material, and you get an object fracturing and vaporizing with a force commensurate with the kinetic energy applied against the resisting forces in the atmosphere and the object. Spacecraft have already been successfully sent to land upon asteroids and comets. Specially designed spacecraft can do the same, land, and deploy very large and lightwieght aluminized reflectors or sails. Given sufficient time (weeks, months, years, or decades in different cases), the reflectors or sails can use Solar light pressure to impart a steady increase and/or decrease in velocity needed to deorbit the asteroid into the Sun, accelerate it out of the Earth’s orbit, or accelerate it out of the Solar System. Other methods such as converting Solar energy into electricity to create jets of vaporized asteroid steadily propelling it in the desired directions. The principal problem now is having sufficient warning, time, and money. Changing the orbit of an asteroid is possible now with present technology, and it will be much less costly and easier when off-planet mining and manufacturing becomes routine and economical. P.S. Matt, thanks for the dartboard note! Heh, I *knew* “cardboard” wasn’t quite right but my sleep-deprived brain refused to pop the cork! Naw, they’ll just accuse us of causing black holes which will one day swallow the Sun and the Earth, end the Mayan calendar, melt the mountain snows to wash away the Tibetan monestaries, and ruin the Academy Award ceremonies. Meteorites and bolides of this size put out light brighter than the Sun in their brief flash through the atmosphere. This flash of light can be much brighter than the nuclear detonations the military satellites are monitoring for on the Earth’s surface. There was another substantial meteorite and bolide fall over Africa in recent years, and the satellites captured images of the event from above in space. You can see the image/s on Youtube. Somebody was nodding-off in their school physics lessons. Specially designed spacecraft can do the same, land, and deploy very large and lightwieght aluminized reflectors or sails. People always seem to say stuff like that … now imagine actually doing that … on an object that is spinning. The movie was This Island Earth, complete with kinetic weapons, bug eyed monsters, and screaming damsels. which had little relation to the short story it was “based” on. The original plot was a replay of ww2 with two empires at war and the Earth acting as a South Pacific island. problem was how to get the “good guys” to defend Earth when their computers told them it was an unimportant military target. Turns out the bad guys had been nibbleing away at the good guys for hundreds of years by attacking “unimportant” targets. All of the impact rate calculations are liable to go up in smoke when the Solar System encounters a region of interstellar space littered with a dense field or band of asteroids not orbiting the Sun. before anyone objects to their existence, it should be noted that it is not impossibel for the late heavy Bombardment and the formation of the Soalr system to have been associated with just such events. In a scientific paper it should be. But for popular science this is good enough. It is strictly ‘500 KT of TNT equivalent’. But the unit is widely enough known and understood to be a convenient shorthand for the general reader. And ‘thirty times Hiroshima’ is pretty graphic. There are 3 speeds that I am aware of associated with the earth. The speed of the meteor is quoted as relative to earth’s surface, which is what matters to us. But what was the actual speed of this meteor? The speed of the surface at the equator is about 1000 km/hr, the speed of the Earth around the sun is 100,000 km/hr. The third speed is our galaxy speed, which I assume the meteor shares the same reference frame. The Tunguska Event was also an airburst. See photos taken some years later. The post dropped the word “reported”, but suppose there should be some share of similar events having gone unreported, over the vast southern seas for example? Why am I not surprised by this rider? One of the interesting studies done after Pioneer(s) were launched was where would they first enter another stellar system. Since the other star’s cloud will be on the other side of Sol / bearing down on the planets. We may even end up recreating the conditions of the Hadean Era. There was a more recent collection of stellar proper motions but I have seen no revision to who what and when. The stars rarely direcly collide but they can have their planets stripped away to drift aimlessly in space with no heat or life. Quote: “Researchers from Bologna led by a specialist in marine geology Luca Gasperini ran into another “crater” in 2007. The Italians drew attention to the taiga Lake Cheko that lies eight kilometers north-west of the alleged epicenter of the explosion. The location of the reservoir coincides with the flight path of a giant body that later without good grounds became known as the Tunguska meteorite. It is interesting that Lake Cheko is not observed on any map made before 1929, and according to the testimony of local residents, prior to the crash in 1908 it simply did not exist. Under The project “Tunguska 99,” Gasperini and his colleagues conducted a study of the lake on the ground. First of all, they were struck by its nearly hemispherical form. It was also found that the bottom of the reservoir has the shape of a cone, and its maximum depth is about 50 meters. This may indicate that something huge had struck the tunnel at this point and sank into the ground. Indeed, the ground penetrating radar recorded a large object at a depth of 10 meters below the bottom of the lake. The Italian scientists suggest that the “culprit” was a fragment of an exploded cosmic body. The weight of the “fragment” is about 1,5 × 10(high)6 kilograms.” – Unquote. !0,000 tonnes is too much. I calculate 5600 tonnes. 8M rad. and a SG of 2.6 since this was a stoney meteorite. Do the math. A metallic meteorite may not have exploded like this did and with a SG of 3.4 would have weighed more, far more kinetic energy, reached the ground and done far more damage. Any asteroids that size that hit earth at or near perpendicular would in all probability go completely undetected. Any radar trace would only remain for a few seconds and would probably be put down to a UFO and ignored. If 50 perpendicular impacts happened each century, only one or two would by chance be near populations. A huge asteroid hitting the deep ocean would not trigger a tsunami, but it would trigger short wavelength, high amplitude “rogue” waves that coudl travel a fair old distance. The spin of the Earth would make perpendicular impacts rare for smaller objects one would assume, but huge objects certainly coudl retain their trajectory…. so I reckon these are more common than we think…. Since no one saw it coming, it was not tracked and all we have are a few dashboard cameras to record its “trajectory” I really don’t see what they have to make such definitive statements. Of course it had a “significantly different trajectory” by the time it hit Russia, But that really tells us very little about what it’s tragectory was before it encountered the Earth’s gravitational field unless we can pin down its direction very precisely. You don’t do that with a dash camera. The odds on the two events happening within hours of each other would be long enough to get the chair if it was DNA in a murder trial. I can’t say that you are wrong, but there are an awful lot of installations scattered around the world by certain missile-paranoid nations looking for large, fast moving objects. But they are presumably looking for missiles and re-entry vehicles. Meteors may be well outside the parameters of trajectory and radar cross section such systems would be looking for. Even though an exploding meteor can easily be comparable with that of a nuclear weapon in terms of energy AFAIK it does not have the characteristic “double flash”. In other words; what’s the last thing that goes through a bug’s mind as it hits the windshield of your car? The Russian Federation covers something like 160 degrees of longitude. It’s also the largest country on the planet as measured by land area. The next largest (Canada) is about 60% the area and covers only about 90 degrees of longitude. An alternative second largest would be Antarctica, which is about 80% the area of Russia and covers all 360 degrees of longitude but is mostly located near the pole. The Chelyabinsk event was witnessed over a relatively small area and dozens of similar events could easily have happened over the vast empty reaches of the planet in the last hundred years. is there an estimate of the total mass gained by the earth each year from space dust to meteorites, it must run into kilotons per year, of course we should deduct atmospheric losses to space. Is the mass of planet earth increasing or decreasing over time ?? Even “Pull the other one, its got bells on”. Or a euphemism for “urine extraction”. I suspect I am one of the few readers of WUWT who has been to Chelyabinska. I went there just after communism’s collapse, one of the first westerners to ever go to the city where the Soviets manufactured their nukes. Back then, Chelyabinska was a triumph of socialism – two million people with one official restaurant, a few tiny shops, giant cockroaches in the only hotel and an incredible smell – bad, not good. The dams were full of bright green algae and the airport came with a mud quagmire for a parking lot. But I saw something there, which is impossible in nature: It was a clear day with blue sky if you looked straight up, yellow/orange was the colour from the horizon up about 30 degrees (sulphur from the smelters), but between the two there was a bright green band. Blue and yellow paint makes green, but blue and yellow light does not. It has probably changed quite a bit since back then, nevertheless if the meteorite had been a bit bigger it might have wiped out this Class 1 polluted city. In Soviet times, were they capable of telling the difference between incoming meteorites and missiles? If this meteorite had arrived 30 years ago, would we still be here today, or would the Earth be radioactive waste? Important lesson ; If you are inside a building and you see a big flash outside stay away from the windows until after the pressure wave. NASA is a big barrel, GISS is the rotten apple. would we still be here today, or would the Earth be radioactive waste? Good old atmosphere, what would we do without you? As noted we are in a very sleepy area of our galaxy, one of the only reasons we are here and likely the human race will be long dead and forgotten before we cross paths with anything that could come close the the Late Heavy Bombardment. But it is nice to know we got our 1 in 100 years hit out of the way without much drama. This Island Earth was in MST3K the Movie. Love those old cornball Sci Fi flicks. Looks like this one was 1/6 to 1/60th the expolsive power of Tunguska. It’ll be interesting to find out just how high and far away from Chelyabinsk this metor was. A Tunguska size blast over the city likely would have flattened a sizeable portion of it. I think there’s some exageration going with size and velocity. If a 10 tonne rock did enter the atmosphere going 18,000 km/sec, it would have around 380kilotons of kinetic energy as is being claimed (or more like 500kt). But a rock traveling at that speed would circle the Earth in under 3 seconds. I thought some of the videos showed this thing being visible for 3 seconds or more before the blast. I’ve no problem with it being the biggest event observed since 1908 or the fact that Russia was host to the last two land impacts – since Russia is a signifcant fraction of Earth’s land surface. What I do have problems with is comparing a bunch of blown out windows and a 20 ft hole in the ice to something that wiped out almost a 1000 square miles of forest when the 1908 event was supposed to be 20 megatons and this one supposed to be 1/2 megaton equivalents of TNT. My guess is that both the size and velocity are grossly exagerated. With an inverse square estimate for an energy release 1/40th that of the 1908 event, there should be at least 1/2 square mile of serious tree killing devastation. If the rock exploded at mach 10 (3450m/s) that would be the equivalent energy of under 15kt, close to Hiroshima size assuming it was 10000 tonnes. Like most things though. We will have to wait til real evidence is accumulated and honestly analyzed without political agendas being promoted. Which science fiction movie of the 1950s or late 1940s has a scene early in the film where scientists at a remote astronomical observatory (South Africa perhaps) use a speical instrument to view a planet in a distant solar system, the planet is seen to have prehistoric type dinosaurs, and they come to think they are looking backwardzs in time and actually seeing the Earth as it existed in the Age of the Dinosaurs? The movie was probably a black & white film. Also, this was a movie and it definitely was not the Outer Limits episode where the scientist creates a miniature Earth in the laboratory which goes through a vastly accelerated rate of development with evil consequences. The energy in very large explosions such as nuclear explosions is given in tons or kilotons or megatons equivalent explosive, where 1 ton=4.2E9 Joules. This is a common practice, and is even listed in the ISU. I agree most common practices (including using English rather than metric units in America and much of the world) should be replaced by scientific practices, but we are not going to get that soon. I would note that if the object had impacted nearly vertically, it would still have had the energy of several hundred kilotons, and would have wiped out a very large area totally (about 25 times the energy of Hiroshima bomb). They were very lucky with the grazing angle hit. Russia Blames Meteor Strike on U.S. Secret Weapon Test . as a galactic greenhouse gas and, if it weren’t for H, the universe would be at absolute zero…. they wanted to move us all back to the dark ages…. WordPress went whacky and posted instead of putting in a carriage return. A Russian political figure denies the existence of the meteorite which fell on Russia and is claiming it was a U.S. weapons test. Still waiting for the global Warming angel to come up. We accept the analysis of the NASA scientists engineers. The NASA engineers have proved they can toss satellites into orbit. NASA scientists have proved they can out bull patty Chilli, a Fresian bull. However, various reports said it had been observed Tu, We, Th, or Friday 15Feb. Talk of coincidences. I am reading that when the nuclear power station warning siren goes off. (It is tested every quarter) Made me jump – darn thing is loud. Fortunately, the 500 kT was stretched over a long distance & far overhead, unlike a nuke. as Pull my finger says, This Island Earth was used in the Mystery Science Theatre 3000. With marvellous sardonic comments from the two robots watching it with the human. Absolutely wonderful. In Fred Hoyle’s The Black Cloud, which I read as a child, there is an interesting discussion between Alexandrov, the (appropriately) Russian scientist and some of the others, when Alexandrov points out that the only reliable check in science is prediction. You can make all sorts of correlations after an event but if they’re not made beforehand, they are not significant. A lesson that seems to have been forgotten with the emphasis on peer review these days. Ruskies, get out & find those pieces! Meteorites on frozen lakes/snow are some of the easiest to find, while the ice/snow lasts. And they’re valuable. Meteorite Men from the Science Channel, book your flight now! Russians are weird with meteors, the Soviets tried to destroy all records of the Tunguska investigation that was done in the 20s and 30s. Ha, the Cuba episode was probably one of those big old 1950s Chevies they love backfiring. My reading of the 1972 event was it only came within 35kn of the surface (this one actually fell to earth) and was about 10 – 14 feet in diameter. So not ‘much larger’. I am a bit disappointed to read so much niggling and conspiracy theory on what is a fairly straightforward issue. It is a scientific practice, just poorly explained. They settled on that method of measuring large explosions because the energy release of TNT (which is the reference explosive) was highly uniform and well studied at the time nuclear weapons were being developed, and it was a standard that was easily replicated in the field to calibrate instruments. As in most new fields of study, one of the on going difficulties is the development of a measurement standard which is both practical and repeatable. Once a practical field reference is found, it then gets adopted as a reference standard until higher precision means allow a more precise measurement standard to be developed (see evolution of the definition of the time base second or the length reference meter). In this case due to military studies they had a huge amount of reference information both on the chemical energy release of a common easily manufactured explosive which had been in use for a long time but they also had weapons damage effects references from all their conventional weapons studies to help them scale the effects up to the sizes of expected nuclear weapons yields. They also needed to work backwards from predicted explosive yield to the expected physical damage intended at the target to calculate expected weapons effects for a given energy yield. In short they were trying to define how much explosive energy needed to be released in a single point weapon to cause a certain amount of damage over a large area to militarily significant targets. Due to cube square effects you get diminishing returns as the yield goes up as most of the energy is expended moving air around in high in the atmosphere not at ground level where you want the damage effects to occur. In this case height of burst becomes very important because there is a critical altitude of burst that maximizes surface damage due to how the shock wave interacts with the ground and at that altitude create a reinforced shock wave “mach front” at ground level. In the case of a meteor such as Chelyabinsk the altitude which it undergoes breakup and maximum energy release rate will significantly modify the maximum air blast at ground level under the ground track. If it breaks up too high or too low, the maximum damage area will be smaller than if it breaks up at the ideal altitude to transfer its air blast energy to ground structures. The following is a quote from the book “The Effects of Nuclear Weapons” by Glastone 1977 (the same info is in the earlier 1962 edition) Page 13 chapter one. Which was considered the “bible” of weapons effects in the west for many years as it was the first publicly available unclassified document derived directly from nuclear weapons effects tests the U.S. Government conducted for nuclear weapons development. Footnote 3) The Majority of the experimental and theoretical values of the explosive energy released by TNT range from 900 to 1,100 calories per gram. At one time there was some uncertainty as to whether the term “kiloton” of TNT referred to a short kiloton (2×10^6 pounds), a metric kiloton (2.205 x 10^6 pounds) or a long kiloton 2.24 x 10^6 pounds. In order to avoid ambiguity, it was agreed that the term “kiloton” would refer to the release of 10^12 calories of explosive energy. This is equivalent to 1 short kiloton of TNT if the energy release is 1,102 calories per gram or to 1 long kiloton if the energy is 984 calories per gram of TNT. 10^12 calories = 4.184 x 10^9 Joules which rounds to the cited 4.2 E9 Joules in your comment. Keep in mind that at the time this standard was derived advanced calculations for weapons were still being done on mechanical calculators that took days to work out calculations that can easily be solved on a cheap pocket electronic calculator today. The largest electronic computers of the day still occupied entire rooms and were being used to refine ballistic tables for artillery shells. I recall the value being 40~ kilotons of dust and debris swept up by the planet each year. Collisions with Antarctica from massive objects are less common for a couple of reasons that should seem obvious, namely that most of the remaining material in the solar system lies in the plane of the ecliptic, not all, but most. When you have orbits that cross in a plane, at some point you will probably get a collision or ejection, when you’re dealing with orbital planes that cross at a more oblique angle, the possible window for collisions shrinks to a line, and I think ejections become more energetically favorable. As for objects from outside the solar system making it in, the sun has a powerful magnetic field and high speed winds which deflects most of the wispy interstellar gas cloud we’re currently passing through. If we did plow into something that originated in interstellar space it would be VERY unusual to find it originate from the ecliptic, as the solar system “tipped up” and moving towards Vega. A comparison of orbits: 2012DA14 and Chelyabinsk. Wikipedia commons image, image enhanced from a Nasa Blog. View perpendicular to ecliptic. NASA website of Near Earth Orbit object closest approaches. Dynamic table by date. 2012DA14 already scrolled off. About 1 per day on average, miss distance usually more than 30 Lunar Distances. NASA Near Earth Orbital Object Orbital Parameters. 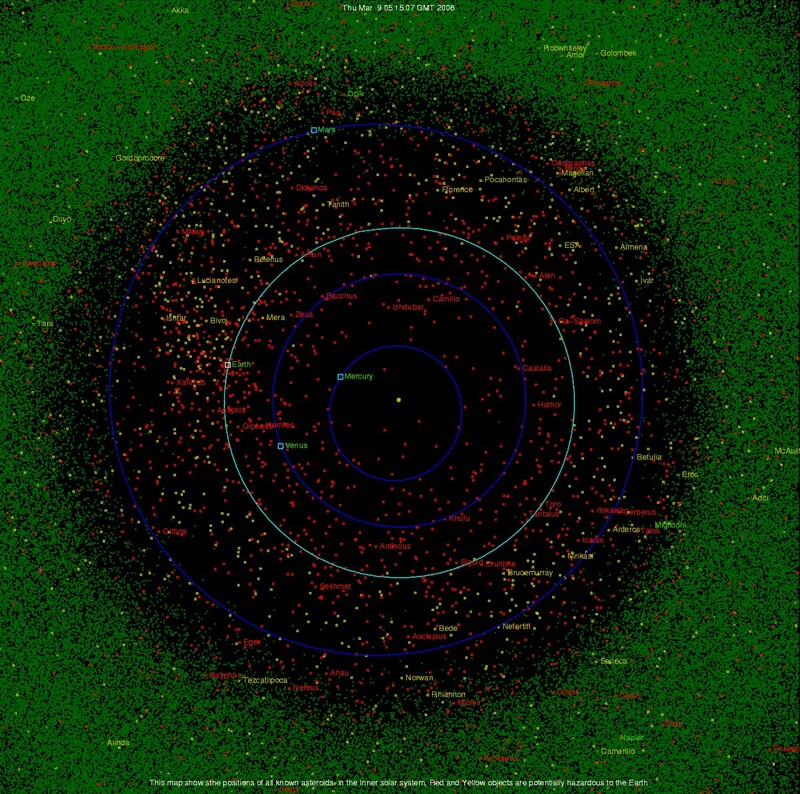 Sort by MOID (minimum orbital intersection Distance) 2012DA14 is #22 in the list. There was an event in the same class as this one (I think) in Brazil in the 1930’s. The problem is that most of the events we hear about like this will be in the Northern Hemisphere because the Southern Hemisphere is mostly water. Any over Antarctica will likely go unnoticed, too. I would be willing to bet there have been several events of this size over the past 100 years, they just haven’t occurred where people noticed them or did any damage. Somebody else was nodding off in “Current Events”. The reference is to the energy available in a short ton (2,000 lbm) of TNT. Russia’s TU-95 Bear strategic reconnaisance bombers were intercepted by U.S. fighter aircraft as they entered U.S. airspace while flying in a circle around the Hawaiian Islands during their military exercise. This occurred the other day, IIRC about the time of the meteorite fall perhaps. I assume they concluded that it was a stony meteorite primarily because an iron-nickel meteorite being significantly denser would have had a flatter trajectory and faster transit. Is that correct? I did not see any indication it was either type of meteorite based on viewing actual fragments. The next scary one… we know about… doesn’t come close until 2880, but is big enough that it could seriously disrupt life on earth. The odds are 1 in 300 of it hitting earth if it goes in one projected path, the other projected path has it missing by millions miles. Called 1950 something, was reacquired briefly in 2000 before disappearing again. Anyway, warn your Great*30 grandchildren. Another good use for all the AGW waste money, other than something to change the course of NEOs (although I think a well placed ICBM would do the trick) is planting some sort of monitoring device on these meteors and asteroids. More power for observing, no waste on propulsion. Observations as opposed to Hansenesque advocacy, multiple arrested biased adjustments? You decide. Earth-approaching asteroids as targets for exploration, NASA CP-2053, pp. 245-256. The table is ordered in increasing delta-v required for rendezvous. 1600 NEO that take less than the 6.0 km/sec delta-v to rendezvout with the Moon. Chart: Rocket Mass Ration vs Delta-V (normalized to exhaust velocity). A Centaur RL-10 has an exhaust velocity of 4.55 km/sec. So a delta-v of 7.282 would be a 7:1 mass ratio from low-earth orbit. So approximate cost to rendezvous 2012DA14 is a minimum of $175,000 / Kg payload. An ICBM would not have much effect. Put a basketball in a pool, put a firecracker on the side as close to the water line as you can get it, set it off… how far did the ball move? Nuclear weapons are far more impressive when you’re the size of a person compared to when you’re the size of a house or even larger, particularly when said house is hurtling through a near-vacuum at 10~20 km/s. A large portion of the damage from a nuclear weapon is due to the presence of an atmosphere, remove the effects of the massive blast of air and you get a very diffuse particle beam. This is why the Casaba-Howitzer devices were looked at for Orion type propulsion, focusing the energy from a nuclear detonation into a jet would be far more effective than just setting them off next to the plate. The most effective currently plausible technology which could prevent an impact with sufficient warning is to scale up something like the Dawn probe. Have it fly near the object and maintain a position relative to it, such that the tug of gravity from the probe is enough to change the course of the object. It doesn’t take a large input if you get to it early enough, hence the value of early warning systems. While the meteor’s kinetic energy due to its velocity is easily understood, don’t forget that it could also have been rotating. There would be additional kinetic energy in the form of angular momentum. Likely only a few percent more ( rough calculation, could be wrong ) but as the objects become larger, even a small angular rotation speed can double the kinetic energy. Talk about scary, try this meteorite story. Russians searching for meteorite fragments beware. .My Lucky Meteor – Joe Dirt (1/8) Movie CLIP (2001) HD . It has already been imagined for some decades. There have been a variety of methods described for dealing with the problem. It’s not just the simple case of a body spinning on just one axis. The greater and more common problem is the case of the body tumbling in more than one axis. The solutions must be varied to meet the complicatoins arising from different time scales, different body sizes, and different compositions of the body. On longer time scales with smaller bodies, tumbling and vectoring of the orbit can be handled by positioning a spacecraft and/or a smaller rock or asteroid of sufficient mass in close enough proximity to ever so slightly alter the orbital path with mutual gravitational attraction. The problem of keeping solar collectors aimed properly towards the Sun has a number of possible solutions. It has often been proposed to use orbital solar collectors in orbit to beam electrical poweer down to the Earth through the atmosphere to deliver electrical power to the Earth. The same idea without the attenuation of an atmosphere can be doe at the location of an asteroid. The solar collectors collect the solar energy at the spacecraft adjacent to the tumbling asteroid and microwaves the energy to the electrical devices and propulsion systems installed on the tumbling asteroid. The propulsion systems need not be of any great size. Some would seem to be little more than what was needed to propel a small scale model on the Earth, if there is sufficient time to accumuate the necessary kinetic energy versus the mass fo the asteroid. The propellant would likely be the asteroidal matter being vaporized and accelerated different forms and combinations of electrically powered magnetiic, ion, and/or plasma soultions. The propulsive systems could be small enough to fit on a tabletop to the sizes of current jet engines. Even something as quixotic as the future age equivalent of a counter rotating asteroidal monorail could be used to stablize tumbling and propelling mass off the asteroid. The bottomline ist that all you need to do is apply a very small amount of force for long periods of time to alter the orbital path of an asteroid. It only takes some thinking, moderate space travel resources, and the will to try doing it. The biggest deficit at the present time is a lack of will and thinking to accomplish the task. Hardly a lack of thinking in general, just the lack of correlation between effectiveness at getting elected and concern for anything besides getting elected. Putting a solar powered rocket on an asteroid isn’t necessary. If you have that much solar collection surface there, just focus it into a beam and heat the asteroid material direction. If you don’t, just put a machine with shovels/buckets and begin tossing hunks of asteroid into space. Sorry, the URL got truncated. when pasted. Here it is again…. The NASA SOHO mission has been capturing images of asteroids impacting the Sun. Some of these asteroids were large enough to cause major extinctions of most life on the Earth if they had impacted the Earth instead. .ASTEROIDS SLAM INTO THE SUN . “Completely unrelated event” is pushing coincidence a tad too far. Entry vector meaningless, it probably separated quite a while ago, drifted to different track. In terms of those poor meteor-hunting Russkies, we oughta sit ’em all down to a screening of Stephen King finding his meteor in Creepshow! I seem to vaguely recall some studies of catastrophic meteorites, that they tend to come in bunches, both on large time scales, but also on millennial time scales. Something to do with gravitational cycles that disturb the Oort cloud, or the asteroid belts as well. This is a very small sample, but the coincidence of two of these things coming so close on a single day does give me some pause as to whether or not we might be entering into a period with more frequent meteorite events. Anyone know more about such theories/observations? What really befuddles me is that in the early hours after the meteor had entered the atmosphere over Russia and broken up, we were ‘reliably’ informed that it was about 2m wide and weighed in at approx. 10 tons. Travelling at almost 18,000 mph. Now, we’re informed that it was actually more like 55 feet wide and weighed in at approx. 10,000 tons. And it was shifting along at ~40,000 mph. To me there seems to be a cognitive disconnect here. The difference in kinetic energy between a 10t object travelling at 18k mph and that of an object weighing in at 10kt travelling at 40k mph is huge! It would be nice to know which of the two estimates are most likely to be correct, and also to know why the incorrect one was apparently so wide of the mark. BTW, I’m not trolling – I really can’t understand it, and would be grateful if someone can let me know what it’s all about. PS: Thanks to Anthony and WUWT for all the exemplary coverage of this matter. Answer: 500 kilotons of DYNAMITE equivalent, or at about 20,000 BTU per lbm, that would be 500,000,000*2 or one billion lbm *20,000 BTU each Lbm, or 20 Trillion BTU. That’s a lot, but since a coal plant burns about 10 million lbm/day of coal this is a 1/2 years worth of coal burning. Answer to that, considering the SUN’s input is equivalent to about 10,000,000 of said coal plants, we have a MINISCULE rise in atm temp due to this event. Tom Gehrels. A review of comet and asteroid statistics. Earth Planets Space, 51, 1155–1161, 1999. Space Science, University of Arizona, Tucson, Arizona 85721, U.S.A. (Received October 7, 1998; Revised August 12, 1999; Accepted September 15, 1999). The answer is really pretty simple, early reports are almost always wrong, often catastrophically wrong. This is one of the biggest problems in emergency management in the early hours of an emergency to sort out the early reports and make sense of often mutually exclusive information or conflicting information. You are usually dealing with reports from unsophisticated observers, many of which have built in biases that make them jump to conclusions about what they are seeing. Even sophisticated observers called on by the media to make off the cuff comments on a breaking story often due to the lack of time to double check information, or comments based on faulty initial information occasionally make some really bone headed mistakes. Since the media is usually scientifically and mathematically ignorant they fail at their basic obligation to fact check such early observations and in the rush to get “the scoop” put out blatantly bad info. The 18,000 mph number makes sense when you realize that that is the required speed for low earth orbit, ( 7.8 km/s or 17 448 mph the media often rounds this up to 18,000 mph in their tv coverage) and either due to lack of understanding or a poorly considered off the cuff remark that speed might have been blurted out by someone not aware that objects in near earth orbit can have approach speeds far higher than that, especially if they come from deep space like a comet. Average impact speeds for meteorites typically is in the 10-70 km/second range ( 22,370 – to 156,585 mph). For objects orbiting the sun, maximum impact speed would be about 72 km/sec (161,060 mph) but could be even higher if the object was not gravitationally bound to the sun and came in from deep space. One observation regarding diverting an impending impact is I have always been puzzled that every solution always seems to be focused on a single means of avoiding impact, when there are actually several different strategies which could be used in combination. To avoid impact you simply have to arrange it so that the near earth object and the earth do not occupy the same space at the same time. You can do that by changing the velocity of the near earth object, but that is a vector quantity composed of both a speed vector and a direction vector. You can either speed it up or slow it down, or you can give it a lateral motion to change its direction. You also can ablate away some of its mass which will change its orbital path around the sun if the ablated mass has escape velocity to get clear of the near earth object. Each object will have a minimum energy strategy to avoid collision. In one case the minimum energy solution might be to slow it down. In another the minimum energy solution might be to speed it up or tweak it sideways. The deep impact mission shows we can rendezvous with an asteroid and arrange for it to “run over” a slower moving object with today’s technology. One idea I never see advanced is to use a strategy like the Deep impact mission, and position a space craft so it could distribute a plume of sand like particles, or even multiple very small “smart impactors” ahead of the object, and let it run over and impact the thousands of small particles or smart impact module. Each individual impact would be too weak to break up the object and create the multiple body problem or divert it much, but the combined effect (like a car driving through a hail storm) would both transfer energy and ablate mass from the object. Like the gravity tug idea, it would be a way to slow the object and change its orbital elements by changing its mass. The optimum strategy might be to use multiple missions in succession each applying a small change in the objects velocity. Some sort of manageable impact scheme like this would allow you to slow the objects speed of motion with out changing its direction vector significantly, and would work even if the object was spinning as the small dust particles or smart impact modules would always impact on the forward face of the object determined by its orbital motion. Then with a gravity tug you could pull it to one side to augment the change caused by changing its orbital speed. Maybe we should think about a multifaceted attack rather than any single strategy. It would also give us a more fail safe solution. The impacting objects could take many forms, inert material, pellets of CO2, small spinning disks of light material, even high energy materials like small pellets of explosive materials where you would get benefit from both the chemical energy of the impactor and its kinetic energy of motion. Which would be more effective multiple impacts from small pellets of explosive materials, tens of thousands of small sand like particles squirted out in a stream along the orbital path or one or more spinning disks of plastic that would simultaneously vaporize across the entire front of the object as it impacted the asteroid. Perhaps a series of smart impactors each guiding a balloon filled with a gas or explosive gas mixture. Bottom line is how do you transfer the most momentum to the object without breaking it up due to a violent impact. Would you get more bang for your buck by letting it run into a hail storm of BB’s which each would form thousands of craters and eject material from the surface or let it run into a large gas filled balloon (or even several such balloons) and change its velocity by the over pressure across the front face as it slams into the gas bag. The technology and capabilities required to capture and maneuver asteroids is on the drawing boards,..For those who have not had a detailed look at the USA’s 21st century expectation (Bush Snr. era) of humanity’s expansion into space, this is well worth exploring. Thank you to all who responded to “500 kilotons of energy“. My physics students would never have gotten away with that sort of thing! How is this meteor unrelated to the asteroid? How is it ruled out? How is that possible within hours of the event? It maybe the case, that it’s all just a big coincidence. We have other asteroids making a close approach, and we know nothing about the debris that precedes or follows them. Learning nothing by being too big headed from this close approach is feckless. Mechanics of moving an asteroid like 2012DA14 away from an Earth collision. An asteroid tractor (Tug) uses the mutual gravitation between the Tug and the asteroid as the tractor force. The trick is that the rocket exhaust needs to be in two or three thrusters pointing past the asteroid rather than at the asteroid. All that is necessary is that the Tug is close enough to the gravitationally weak asteroid so that the gravitational pull is enough force to do the job. So how big does this Tug need to be? How much propellant is needed to move a 130,000 ton asteroid to miss the Earth? 1 ton? 10 tons? 100 tons? 1000 tons? If you have 20 years, all you need is 0.1 ton. 100 kg! What is more, we can do it with off-the-shelf hardware. It can be done with a “Dawn”-like space probe with three small tri-pod ion thrusters instead of one thruster on the centerline — and lots of time. I’m amazed how little mass is necessary. The goal is to apply a force F to move the asteroid mass m1 one Earth Radius R in a time span of T years. Time of force = T = 20 years (thrusting time). F = ma = 4.16E-03 N = kg-m/sec2 __ About 0.001 pound force. How big does the Tug need be to have at least that gravitational force? So a one ton tug 45 m from the center of a 130,000 asteroid has a can pull at 0.00416 N. If it tugs for 20 years, that’s enough for a miss. This is a tiny force, so an Ion drive, like the Dawn and Deep Space 1 probes is ideal for minimum propellant needs. Propellant rate = Fthrust/ Ve = mdot = 1.41E-07 kg/sec or 0.141 milligram/sec. Delta-V of asteroid = a*T = deltaVa = 2.02E-02 m/sec = 20 mm/sec after 20 years of tug. Time is your friend. The amount of fuel needed goes as m1/T^2. Whew! Truly impressive calculations Stephen! Back when I was into physics I used to gobble that stuff up! :> Nowadays it mainly just makes my eyeballs hurt. LOL! Question though… and it’s quite possible that it’s all covered inside there …. You talk about enough thrust to move the asteroid by an Earth radius. I would think that, 20 years away, you’d have to move it just an extremely tiny fraction of such a distance — because the operative factor wouldn’t be the distance moved as much as the slight change in angular direction. If I’m a bullet flying along and pointing at something 500 million miles away and you simply sneeze in my general direction as I pass you by, I would think that the .0000001% shift in angle your sneeze would impart would produce an endpoint at that 500 million mile point that would be VERY significantly different than it would have been without the sneeze. Is that all accounted for in your equations already? You can see it for yourself when you watch the Russian videos on YouTube. Notice how the meteor passed overhead at Chelyabinsk, leaving behind the large trail of smoke and blasted the windows and buildings in the bright morning sunlight. Other videos showed a landscape in morning twilight as the meteor came to Earth in the far distance ahead where the Sun was about to come over the horizon. These videos show us how the meteor traveled from the East, where the Sun was coming over the horizon for the morning, to the West which was in the twilight darkness of the earlier morning. This East o west transit above the Earth was confirmed by the International Monitoring System of the Comprehensive Nuclear-Test-Ban Treaty Organization (CTBTO). They are responsible for operating a network of infrasound monitoring stations around the world to detect violations of the Nuclear Test Ban Treaty. Their network detected the meteor’s impact with the atmosphere and bolide explosion as it passed over Alaska and transited westwards into Russia where it exploded in the atmosphere and impacted the ground in fragments. This pathway and speeed through the Earth’s atmosphere tracks backwards towards the Sun. In other words, to pass over Alaska and impact in Russia at the observed velocity, the meteor had to approach the Earth from Sunward to strike the Earth’s atmosphere and dive into Russia along the morning terminator between morning and night. The asteroid, on the other hand, is approaching the Earth from behind the Earth’s orbital path, if I’m correctly informed. If so, the asteroid would impact the Earth from that general direction. This would generally mean an impact sometime roughly between noon and midnight from the point of view of observers on the ground. Since this metwor made its impact in a trajectory generally perpindicular to the trajectory of the asteroid and any companion meteors, the meteor cannot be a companion of the asteroid. The meteor’s approach from sunward also explains why optical telescopes would have been unable to see it approach the Earth. Radio telesopes would have had difficulty detecting the meteor due to its small size and unusal approch from sunward. Sloppy language is a breeding ground for confusion, and the case of global warming … erm …. climate change (cough) disruption clealy shows. No matter how long you tug, at the end of time T, you must move the path one earth radius R from a dead center hit (worst case) to a grazing miss. If T is 20 years, you must move it R at the end of 20 years. If T is 1 year, you still need to move it R in 1 year — but with a velocity that will move it 20R in 20 years. If you only had 1 year, you would need to add 400 mm/sec DeltaV to make the miss. 20 times more kinetic energy in 1/20 of the time, so 400 times the power and thrust needed in the 20 year case. I was wrong about this: The amount of fuel needed goes as m1/T^2. The fuel rate (mdot) goes as m1/T^2. I got into this because I couldn’t believe some commentators on TV saying that NASA had the capability today to deflect asteroids. I knew about the gravitaional tractor concept, but I had in my mind that it had to be a twenty-ton monster. That it would be impractical to carry enough fuel to do the job and that somehow you would need to use the asteroid for reaction mass material with all the complications that entailed on a spinning rock with little gravity….. We don’t have that today! Well, I’ll be… we DO have the capability today! KISS. A ton of pure Xenon expelled at 30 km/sec is far better than mining and pitching rocks. A slightly reconfigured Dawn spacecraft, a dozen angled thrusters for redundancy, a bigger propellant tank and a Delta-IV or Atlas-V Centaur booster is all you would need to move a 1.5 million ton asteroid enought to miss Earth — that and 25 years warning before potential impact. Aside: Dawn is an unsung hero of a spacecraft. Check it’s timeline and its traverse. Launched Sep 2007. A gravity assist from a Mars fly by Feb. 2009. Hitched a ride on asteroid Vesta as it orbited Vesta July 2011 to Sept 2012. Thrusted away from Vesta for a Ceres encounter and orbit in Feb. 2015 for 5 month study there. Ion Thursters on about half of the time during those 7 years. Correction: If you only had 1 year, you would need to add 400 mm/sec DeltaV to make the miss. 20 times more kinetic energy</b. in 1/20 of the time, so 400 times the power and thrust needed in the 20 year case. My blunder is in thinking that the propellant is the source of the energy, like it is in a bi-propellant (O2+H2) chemical rocket. In an ion-drive, the propellant is inert — all power must come from an electrical generation source like solar panels, which quickly become the limiting factor in available power. As solar panel’s power goes by Area, but the panel structural total mass goes up by A^b, where b is greater than 1.0 probably less than 1.5. Astronomy Picture of the Day had a bit about gravity tugs for asteroids.